Nine-year-old Amin plays with a rhino and a horse in a land of make believe. It has been a week since he arrived in Bangladesh with his family. Their route took them through the sea for two days and across deep valleys and thick jungle for another three days. Amin’s two younger siblings are back in their makeshift home of bamboo and plastic. They were not feeling well today, and did not want to come out to play. Amin thinks of his grandfather who was too sick to make the treacherous journey. Among everything that he left behind, he misses his dog the most. 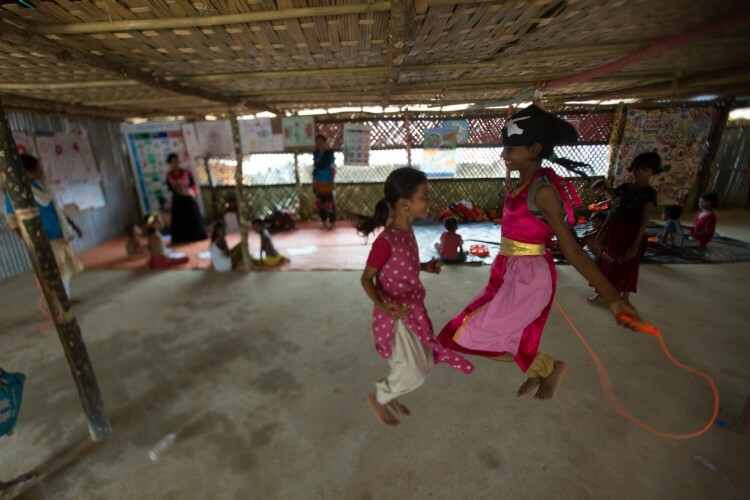 Over half of the population who have fled into Bangladesh from Myanmar are children. 1,400 children are thought to have arrived without their parents. Many of them are in psychological shock and need urgent care and protection. Our child friendly spaces are a widely used tool to support children during emergencies, providing recreational support and life skills based on safety issues, health and hygiene. 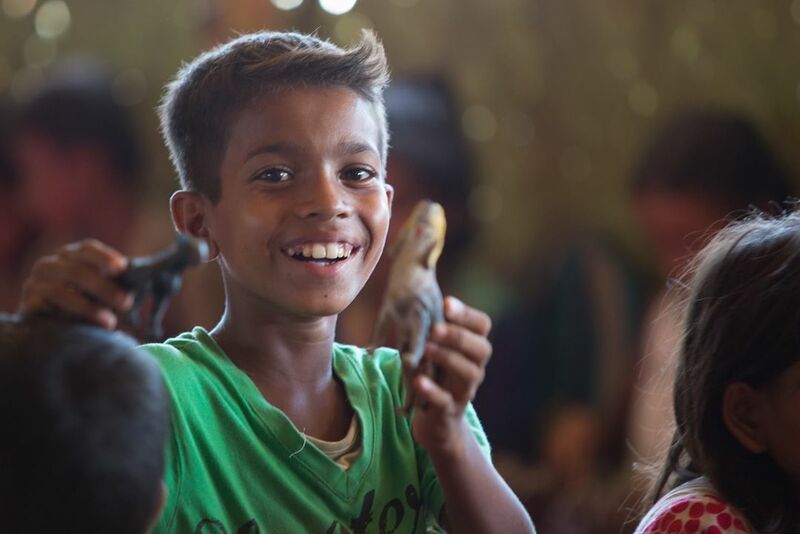 Amin is one of 4,000 children who now have a space to heal and stay safe. 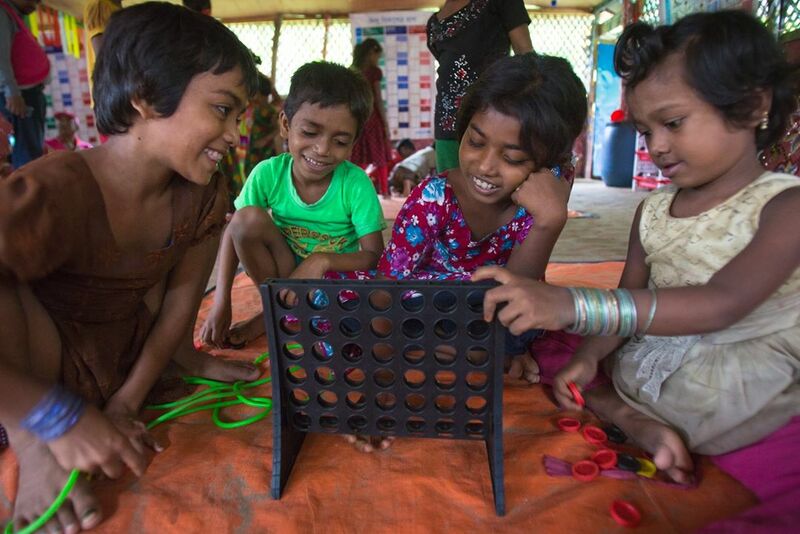 To date, our 56 child friendly spaces provide sanctuaries for 2,940 children who are vulnerable to exploitation, sexual harassment and child trafficking. We are scaling up our humanitarian assistance activities every day, focusing on maternal and child health, water, sanitation and hygiene and keeping children safe.